There’s a lot of work going into the upcoming major release of Firefox 4.0. Originally planned for version 3.7, many of the polished visuals and UI tweaks have been pushed on to 4.0. The new design features tweaks to the interface that makes it have characteristics of Microsoft Office. Read on to see what Mozilla’s got planned. One of the biggest visual changes in store for 4.0 is the new menu bar. Their current proposed approach is an app button that houses all menu functions, much like you’d see in Windows 7 native applications. This button trims the obtrusive menu bar, making for a simplistic, clutter-free appearance. Although not set in stone, the app button is currently slated to appear in the top left, attached to the top of the window. You’ll also notice the title bar has been removed and reallocated as space for tabs. Instead, the application name was included in the app button. Although still unfinished, the team is still working to perfect the button appearances. They’ve already made the buttons more visible on light backgrounds but they’re still toying with smaller changes. They’ve refined the visuals for the navigation bar and recessed the whole thing inside the Firefox UI for a cleaner, more natural look. By default, they’re going to keep a separate search bar to the right of the navigation bar. They find a clear distinction between the two increases functionality without flooding then navigation bar’s functions. They’ve also been toying with different configurations for the bookmarks bar. By default, the bookmarks toolbar will be placed inside the navigation bar. As always, they’ll include alternatives to the default configuration. You’ll be able to customize the Firefox layout by moving your bookmarks to their own separate bar either above or below the navigation bar. A lot of work is going into Firefox 4.0. 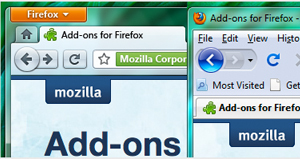 It’s shaping to out beautify the competition along with the customization that you’d expect from the Mozilla team. They’ve got some tough competition, but version 4 will definitely win back some old users who’ve since migrated away. 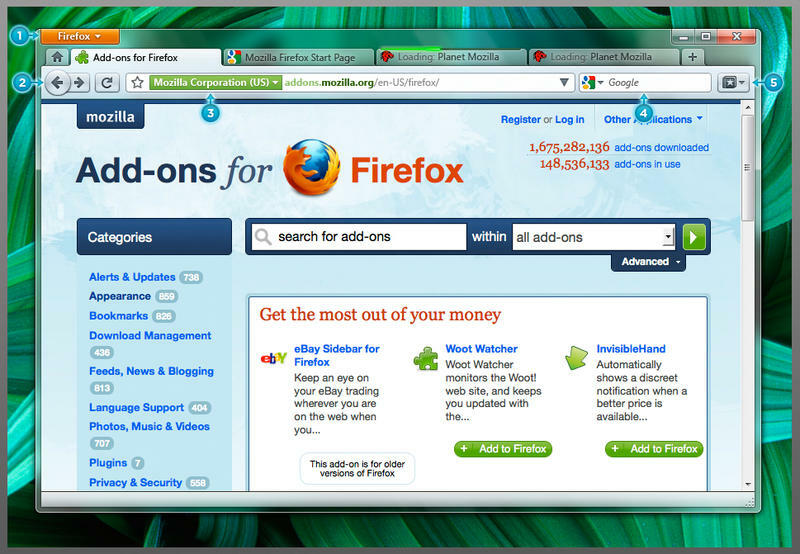 Let us know what you think of Firefox’s new look.